If you have a smartphone, such an iPhone or Android phones, you probably know that they have geolocation features. Though these features can be quite helpful, such as if you lose your phone, they also may cause problems and even become dangerous. For example, many online dating services have started using geolocation in order to match singles with those who are nearby. These dating services also use photos and descriptions, of course, which when combined with geolocation information, will make it very easy to track down a certain user. This certainly could have negative implications when put into the wrong hands. As you can see, geolocation can certainly pose a threat to your security, and the information that is collected through geolocation is quite sensitive as it allows anyone to be targeted at any time. Do Not Use Geolocation at Home: Logging into any account that uses geolocation from home not only shows that you are home, it also shows where the home is. This means, if a person wants to find your home address, there is really nothing stopping them. Do Not Use Geolocation at the Homes of Friends or Family: The same rules apply when you are at the home of a friend or family member. Use Caution When Following People on Social Media: With social media sites, your followers, friends, and fans are open for anyone to see. Any person who wants to can see your followers list, and due to this list, they can make assumptions about you. For instance, if you blog about politics, you may follow a lot of political candidates. Though you may be doing this simply to get information and to stay in the loop, it could give someone else dangerous ideas. Avoid Developing a Pattern: If you check in regularly to Starbucks every day at 3 pm, this could be detrimental to your safety. Someone who knows that you are always at Starbucks at this time can start following you, or worse, simply because they know your pattern. 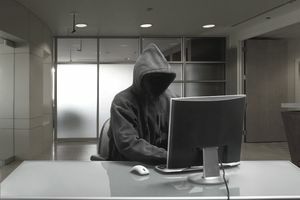 Monitor Your Connected Accounts: Many people connect social media accounts, and Twitter, for example, unless your tweets are protected, is fully public. If your Twitter account is connected to a geolocation app, such as Foursquare, your location information could be appearing on your Twitter account, and anyone can see it. Educate Your Family: You should take some time to research more about the dangers of using a location-based application on your mobile phone, and you should also make sure that your family is aware of these too. Weighing the rewards against the risk is something that your entire family should do. Learn About Your Apps: Some of the apps that use geolocation may be surprising, so make sure to go through your settings to check which apps are using it and which apps are not. Most of the well known social networking sites use this information, but so do popular gaming or information apps.